Complete Mississippi accident reports and news. ​Mississippi is named for the Mississippi river which forms its western boundary and empties into the Gulf of Mexico. The name roughly translated from Native American folklore means “Father of Waters.” The translation comes from the Chippewa words “mici zibi” meaning “great river” or “gathering in of all the waters” and the Algonquin word “Messipi”. To support residents and visitors alike, the State of Mississippi provides a high-quality site with road conditions, maps, and traffic cameras. Mississippi has a humid subtropical climate with long summers and short, mild winters. Temperatures average about 81°F in July and about 48 °F in January. Heavy snowfall is possible across the state. Yearly precipitation generally increases from north to south, with the regions closer to the Gulf being the most humid. Small amounts of snow fall in northern and central Mississippi; snow is occasional in the southern part of the state. The late summer and fall is the seasonal period of risk for hurricanes moving inland from the Gulf of Mexico, especially in the southern part of the state. As in the rest of the Deep South, thunderstorms are common in Mississippi, especially in the southern part of the state. On average, Mississippi has around 27 tornadoes annually; the northern part of the state has more tornadoes earlier in the year and the southern part a higher frequency later in the year. When someone is injured in an accident in Mississippi, it is important to gather information about what happens next. When someone has been injured or killed in a motor-vehicle collision in Mississippi, the accident victim and their family members are left with medical bills, lost income, and other costs. It is important to get legal assistance to help the accident victim recover, or when the accident is fatal, to help the family members get fully compensated for their losses. 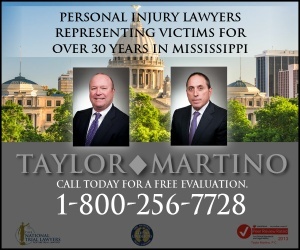 Learn more about how an experienced Mississippi personal injury attorney will help injured victims and families. Mississippi's Department of Transportation hub with links to enforcement, travel, and contracts. The Mississippi Highway Safety Patrol is charged with the responsibility of enforcing traffic laws on state and federal highways. Mississippi’s state troopers must be prepared to assist local law enforcement agencies and to respond to statewide emergencies at the request of the governor. The officers of the patrol exemplify the agency’s motto of Courtesy, Service and Safety. Mississippi's 511 system offers a wealth of traveler's information including traffic reports, welcome centers and rest stops, 36-hour weather forecast, travel times for planning trips, public transit choices. This web site is designed to make information about the state court system easily accessible to the public. Here you will find opinions of the Supreme Court and Court of Appeals, the laws of the state of Mississippi in the searchable Mississippi Code, rules of court, and an online catalog of the legal collections of the State Library. You may read dockets of cases pending on appeal. There are links to live broadcasts of oral arguments of the Supreme Court and Court of Appeals. A listing of pro bono legal resources in the state of Mississippi. We are committed to strengthening the civil justice system so that deserving individuals can get justice and wrongdoers are held accountable. We oppose efforts to weaken basic legal protections and further stack the deck against average Mississippians. All Americans benefit when individuals represented by attorneys have a fair chance to get justice through our civil justice system. As the fourth oldest public law school in the nation, the University of Mississippi School of Law provides a strong foundation in substantive law, legal reasoning and legal writing while offering many opportunities to build practical real-world legal skills through our many centers and clinics. The law school also has approximately 500 students, 33 full-time faculty and 70 staff members. 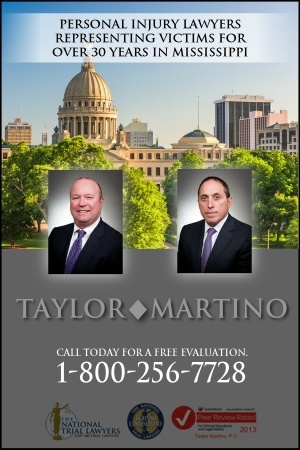 Resources for both legal members and the public regarding the law in Mississippi.